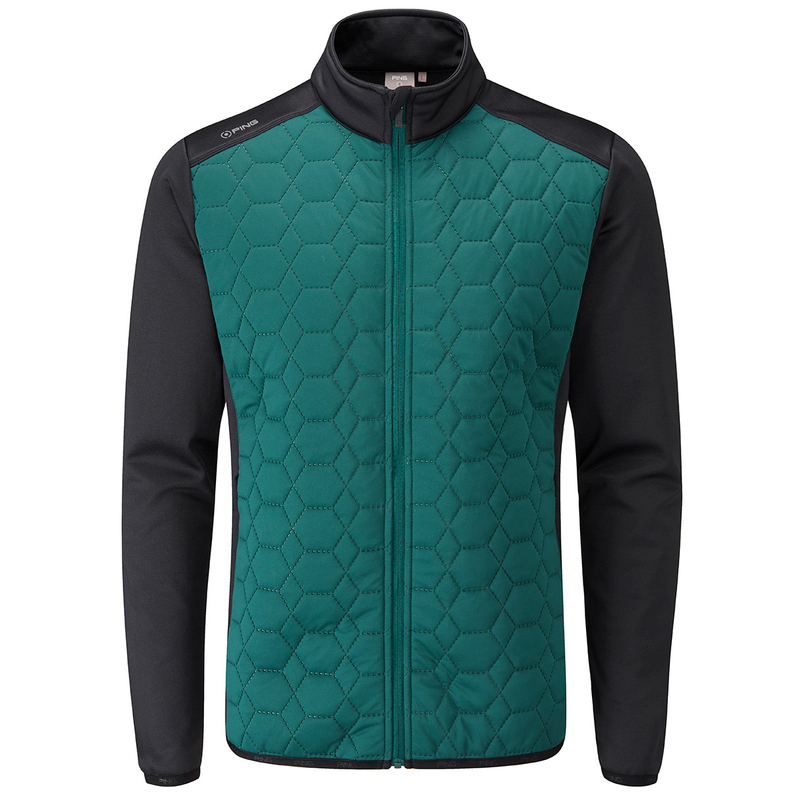 Engineered with highly technical fabrics, this layer ensures you can remain comfortable and warm playing through till the season conclusion. 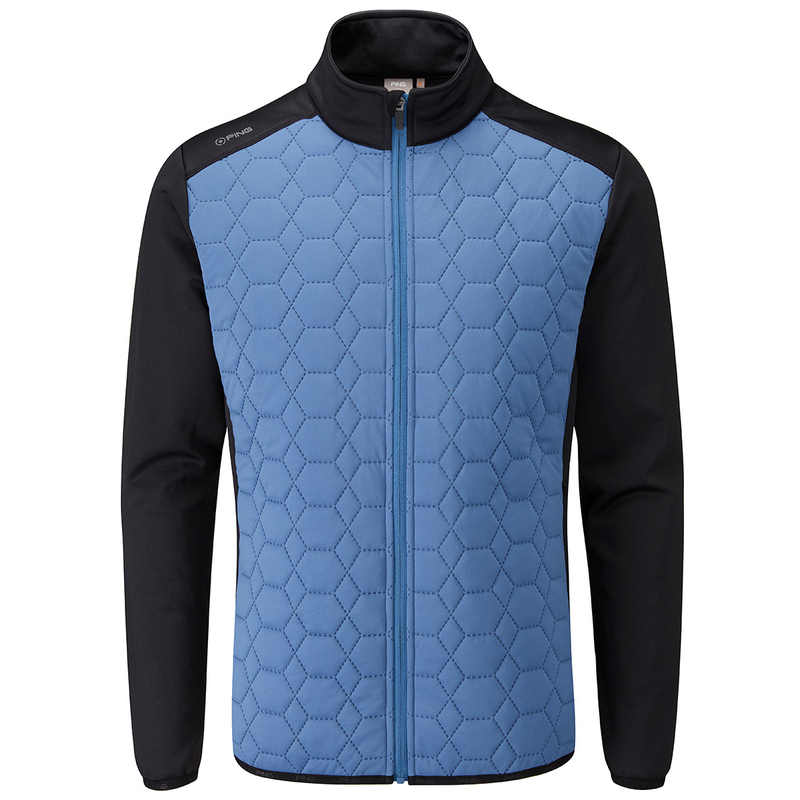 The garment features a quilted front hexagon panel, with stretch fleece sleeves and back body, for warmth and mobility as you play your round of golf. As well as keeping your warm, the jacket offers wind and water resistance, for extra protection from the elements, and has a full zip opening for quick and easy changing. Finer details include stretch binding to the hem and cuffs, and has 2 front zip pockets for secure storage of small accessories etc.